You’re just a swipe away from the latest and improved version of PlayerXtreme for iOS. Update your PlayerXtreme media player now and enjoy the changes made for your convenience. Want to watch your favorite movies on big screen? 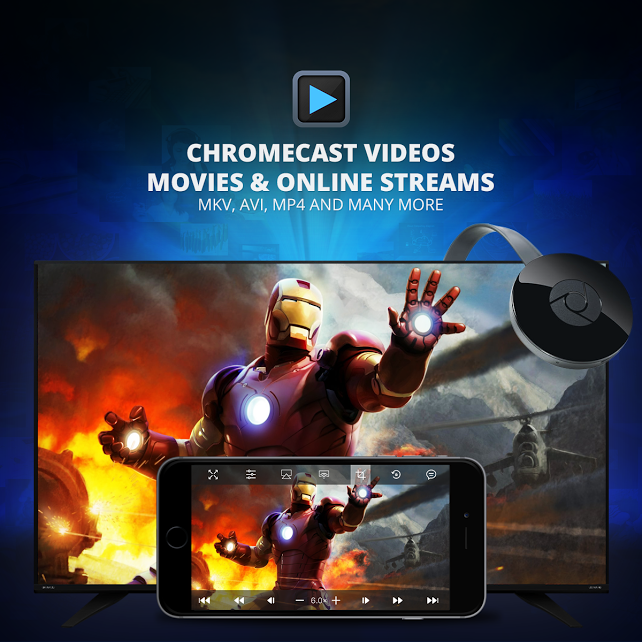 Not to worry, just chrome cast your most liked videos, movies and even through online streams with better support for all video formats. File transfer was never so EASY! Transferring files cannot get any easier than this. It is a simple 3 Step Process. 1.) Type the wifi URL into the browser of your laptop/PC. It will open up the Wifi web page screen like below. 2.) Browse to any location on your PC/laptop with files you wish to transfer. Drag the file to upload part of the Wifi web page. Alternatively, you can click to browse the file path as well. 3.) 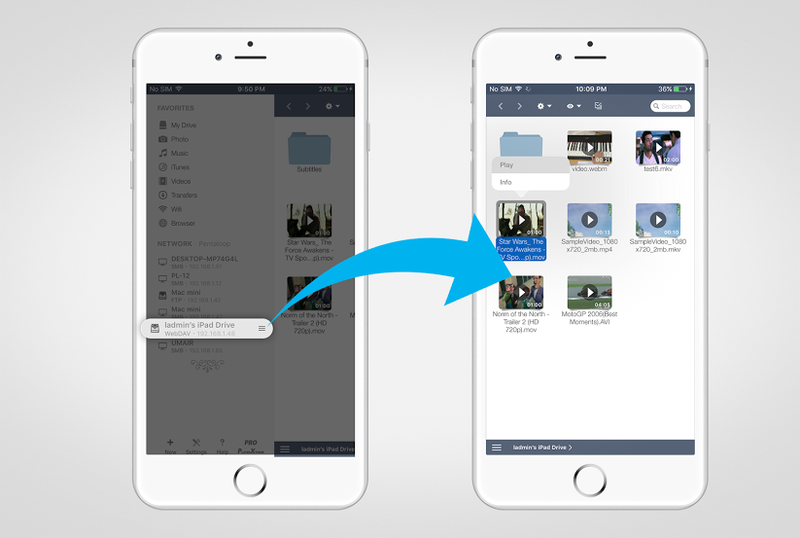 The file is instantly transferred into your library of your device(iPhone/iPad). You can now access Video/Audio content from any other iOS device with playerXtreme app installed. PlayerXtreme . makes sharing/streaming audio video across iOS devices possible over the same network directly. Just choose a device and explore its library to play movies, videos and music. You can connect iPad to iPad, iPad to iPhone and iPhone to iPhone. Improved and user-friendly network (SMB/FTP) authentication. These are some of the modifications and improvements which will allow our users to move through PlayerXtreme more conveniently. For more details, you can always contact our support team and if you want some features to be added, we are always open to suggestions and will try to work on them as our users are precious to us. PlayerXtreme for Android – Now Available! After getting a staggering 7 million downloads following its launch on iTunes, the time we’ve all been waiting for has finally arrived! PlayerXtreme Media Player for Android – The best player of movies, videos, music & streaming has truly owned its’ motto and has proven to be the best media player app in the market. Powered by Xtreme Media Works, this app has taken everyone by storm! A particular feature of this app that made it so popular was that it didn’t require the long and mind numbing process of file conversion before playing! A large proportion of the audience really seemed to hit it off with this Direct Play feature. After all, more than 40 formats are supported by the app! It supports all popular formats of subtitles, closed captions (CC), SRT, SMI, TXT etc. Power options like multiple audio tracks, video clipping, taking screenshots, A/V syncing etc. Another really cool feature is the Library Organization; you not only manage your audio, video, and picture files but can customize it by using artwork of your choice! Personalization of apps really helps make it your own. Not only this, you can choose to secure your library by setting a password to keep anyone from accessing your files. And what’s the oomph in a one man party? Share it with all your friends on social media. Discover and enjoy even more content together! As if this wasn’t enough, PlayerXtreme has unlimited storage! You can stream as much as you have on your Android phone/ device or server without compromising quality or performance. You can even open it with other apps and play videos from other apps in Android. App store stats show a 5 star ranking for more than 90% of the users. It’s not surprising since PlayerXtreme has made it so easy to listen to songs, watch movies and basically access any form of entertainment on the go! PlayerXtreme is best suited for today’s lifestyle. People need an app which they can rely on when they hurry out of the house, or when they’re on a long commute back home after a hard day’s work. All they need to do is plug in their earphones and press the play button. Get ready to unwind without having to worry about whether a certain song will play or not. Chances are the file you have on your Android is compatible with the 40 plus formats the app supports! When you’re in a more private place, feel free to boost the volume up to 3x times higher and throw away those earplugs! PlayerXtreme caters to all your needs. It is very well thought out and excellently executed. So Android users, get ready for an ‘XtremeXperience’ with PlayerXtreme Media Player!